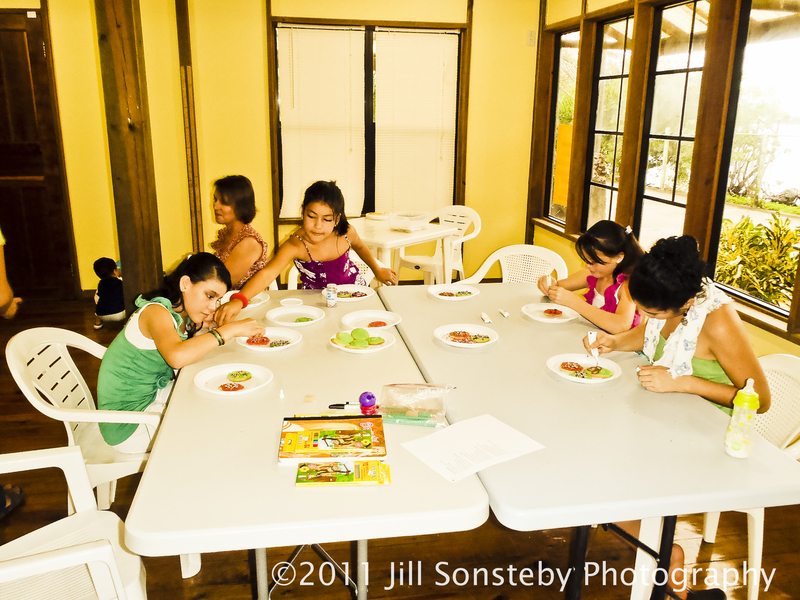 Every Saturday I teach a group of local children English. We usually start with a song, then learn to sound out and write simple English words. After the first 45 minutes the children usually need a mental break so I teach them some body rhythm, which they really like too. They always love wrapping up the time by playing charades. I split them into teams and the winning team gets an extra piece of candy. Yesterday, being that it was Christmas Eve, we did some holiday activities. We learned one verse of Joy to the World. They picked that up really quickly and they love to sing. My roommate and I made sugar cookies the day before and topped them off with frosting. The children were excited to see the green and red frosted cookies. 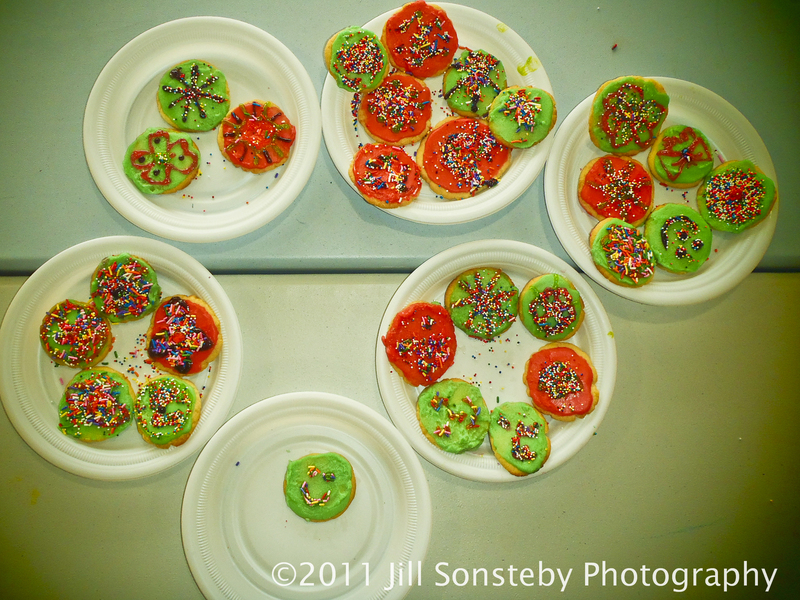 We put the cookies in the middle of the table with the colored gels, sprinkles and colored sugars. It didn’t take them long to create their master pieces before consumption. Lastly, we made links with construction paper. They spent some time writing Bible verses pertaining to Christ’s birth and writing any prayer requests on the links along with their beautiful drawings before we hung them. Great ideas! I bet you and Jeanne enjoyed it too!